Girl Scouts who code can literally change the world! 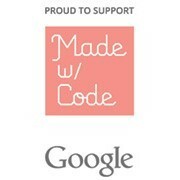 That's why Girl Scouts is thrilled to be a part of Google's new initiative, Made with Code. Delegate Chair Training is required for Service Unit Delegate Chairs to help prepare for their governance role. Join the Kappa Delta sorority of Old Dominion University on a Journey Quest and be an Agent of Change by participating in Journey Badge activities. Girls may complete their Take Action Project with their troop or on their own. Closing: 4:30 p.m.- 5 p.m. Girl Scouts of Colonial Coast formally recognizes volunteer years of service of 20 or more years of service (in increments of 5 years) at the Annual Award Luncheon. If you have served as a volunteer for 20, 25, 30, 35 or more years, let us know! The Award Luncheon will be held on Saturday, February 7, 2016, at the Chesapeake Convention Center following the Annual Council Meeting. Contact the Volunteer Services Department at volunteer@gsccc.org for more information. Delegate Training is required for all Delegates and Alternate Delegates to prepare for their role as voting members of the Girl Scout Council of the Colonial Coast. The training will include an explanation of the delegate job description, information on topics that will be voted on at Annual Council Meeting, an overview of Robert's Rules of Order, and a State of the Council report. Girl Scout Clinic will be held 30 minutes before the show doors open. Girl Scouts will be able to meet the riders, horses and more. Deadline for Girl Scout orders is October 28. Additional fees may apply. Charge by phone at 800-745-3000 and at the Coliseum Box Office. Time is running out! Get your tickets now for the Girl Scout Famous Formers Luncheon on Thursday, October 29 at the Norfolk Yacht and Country Club. Adult tickets are available for $40 and girl tickets are $25. Visit gsccc.org for details and purchase your ticket today. For questions, contact Robin Thomas at 757-548-3809 or robint@gsccc.org. 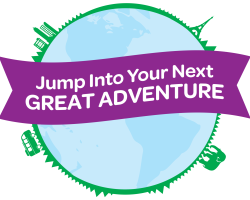 Girl Scout Destinations are the ultimate adventure for individual girls ages 11 and older. With different trips every year, there’s something amazing for everyone to experience. Make friends from all over the country as you travel with Girl Scouts from different states, see and learn new things, and pack your bags full of inspiring, life-changing experiences and memories. 2016 trips are here! If you have your heart set on a particular trip, apply during Round 1. 9 a.m. – 11:15 a.m.
Reservations are required for all small or large groups. Must call to reserve lessons. Lessons are for total beginners only. For questions and to make reservations contact Tommy at (757) 877-7539 or iceplexgroupsales@gmail.com. Discount tickets and the opportunity for a Meet and Greet with the cast are available. Purchase tickets by calling 804-344-0906, ext. 285. For event questions, email pwisecrawley@richmondballet.com. Girl Scout Troops enjoy a special subscription offer of $20 for three operas! Single tickets are also available. For more information contact Robert Cinnante, Statewide Director of Education & Outreach, at robert.cinnante@vaopera.org or visit vaopera.org. This course will teach you the basic steps of shooting to prepare you to instruct archery courses for Girl Scout groups. Following your special service unit meeting, complete the new electronic service unit delegate election form here, by November 10, 2015. The service unit quota list can be found here. NEW this year: the Delegate Consent Form is no longer required. Spend $75 or more from September 1 - October 15, 2015 and receive a $10 coupon to spend on a purchase of $25 or more from November 1 - November 20, 2015. One $10 coupon will be issued per qualifying order per visit in store. Orders over $75 will generate one $10 coupon regardless of merchandise total. Each coupon is redeemable separately on an order totaling $25 or more. Only one coupon code can be redeemed per transaction and must meet the $25 minimum order threshold. 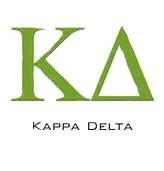 Receive a discount of 15 percent off entire purchase. Our community partner, EMTA Enterprises is sharing their store purchasing discount with Girl Scouts. Visit http://emta.ctcsavings.com/ to take advantage of savings up to 80% on purchases at Office Max and Office Depot. Join us for a fun-filled night at Nauticus for our first girls STEAM night. Enjoy exciting, hands-on activities led by the Nauticus education team and local career professionals in the science, technology, engineering, arts and math fields! All activities will go towards earning requirements for badges from the Science and Technology category for each age level. This is a girl and adult event. Both pay to attend. No tagalongs. For event content questions contact donnaf@gsccc.org. Go for Gold training is now divided into two training components. The first required training is a convenient and interactive online module that girls can complete any time prior to attending the second module. The second module is a face-to-face training that will help girls discover a need in their community that can be addressed by completing the Girl Scout Gold Award. The online module covers the nuts and bolts of Going for Gold. Girls can start and stop this training as needed and can even go back to reference information. The online portion will cover the seven steps to Girl Scout Gold, prerequisites for the Girl Scout Gold Award, how to complete the proposal and final report paperwork, and when and how to complete a money earning activity request. Register for both trainings by visiting ebiz.gsccc.org. The online portion is to be completed before you attend the face-to-face training. For more information, contact Jacqueline Brooks at jacquelineb@gsccc.org or at 757-410-0732. Shoot for Silver training is not required but highly recommended. GSCCC offers Girl Scout Silver Award training for girls and advisors. This class includes information on how to complete the proposal and final reports and how to plan a Girl Scout Silver Award project. Girl Scout Juniors and Cadettes, parents, advisors and Girl Scout Cadette age-level consultants/coaches are encouraged to complete this training. Shoot for Silver training is now an online class. There is no charge to take this class, and because it is online participants can complete it at their own pace. To register, visit ebiz.gsccc.org. Once you register, you will be emailed a link to the actual class. If participants do not have access to the Internet, an alternative paper based class is available. Safety continues to be the number one priority at Girl Scouts of the Colonial Coast. All volunteers who work directly with girls shall complete a Risk Management class annually to be informed of the latest important safety guidelines. Risk Management classes are now available online! This and other online classes can be accessed here. For more information, contact adultlearning@gsccc.org. What is a Cookie Captain? Attend a troop meeting where you educate the girls and parents on cookie knowledge, safety, marketing and goal setting. Don't forget to share what’s worked for you in the past. Attend a Cookie Rally. Host a station designed for Cookie Rookies. Get some behind the scenes experience by helping at a Council or service unit initial cookie drop. Visit Girl Scout Daisy or Brownie booths. Give them tips on how to approach customers and what to do if someone says no. Girls aren’t the only Cookie Rookies – some new leaders may need guidance. Act as a resource for the service unit cookie coordinators to train new leaders. In addition to this leadership opportunity girls who spend at least 20 hours as a Cookie Captain will also earn the Girl Scout Senior or Ambassador Community Service to Girl Scouting bar. If you have questions, contact Chris Ramos-Smith at chrisr@gsccc.org. Interested Girl Scouts and their parents/guardians will receive additional program information by the end of October. Attention new troop leaders! Now you can get much of the training you need to get started with a new troop right from the comfort of your own home. Two new online classes have just been added to the Council website at gsccc.org: Welcome to Colonial Coast and Getting Your Troop Started. Together, these classes will introduce you to resources available at Girl Scouts of the Colonial Coast and help you through your first steps of starting a new troop. Visit http://ebiz.gsccc.org to create a membership account and become a registered member ($15 annual dues). Complete the volunteer application and screening process, which includes a background check. These classes can be accessed here. Have an informational session with your service unit volunteer coordinator. If you don’t know who that is, fill out this short questionnaire and we will contact you as soon as possible. Access the full New Troop Volunteer Checklist here. For more information, contact volunteer@gsccc.org. Everyone is invited to attend the adult learning event in Yorktown. Attend new leader classes or attend one of the enrichment classes free of charge. You’ll have the opportunity to browse displays during lunch and explore materials that can help you and the girls you mentor.